I enjoy your site, thought I would send along a photo of one of mine. It is as original as I could keep it, which means as a often ridden bicycle, lots of stuff has worn out and been replaced. 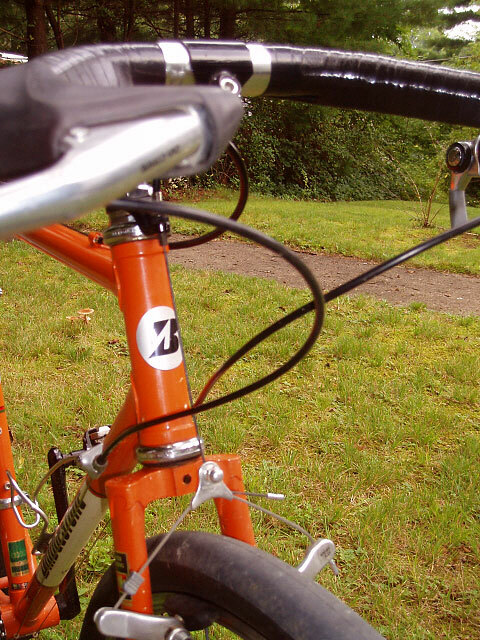 Original are the headset, brakes, front derailleur, shifters, brake levers, nitto moustache bars. I had a Keith Anderson custom stem made for it to replace the ritchey with a little more rise to it. When the original wheels wore out, I put on these Cane Creek Wam wheels. They are stiff and light with a wider rim profile of 22mm. I replaced the cranks and bottom bracket with FSA compact to better suit my riding after wearing out the original cranks. 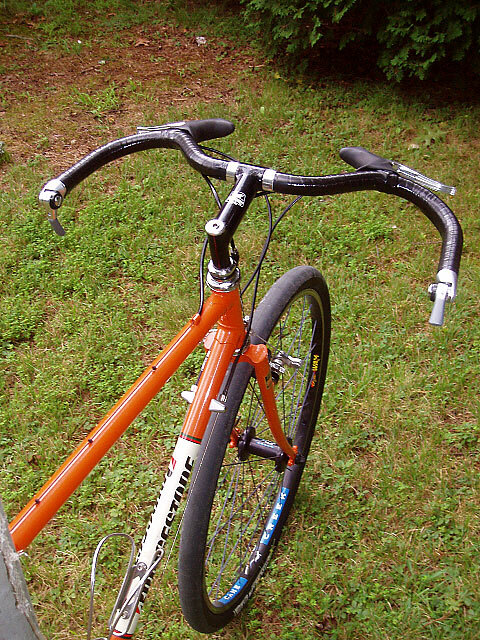 The seatpost and saddle were replaced recently. I must admit with the addition of all of the black colored components, the only reason the thompson post in there is to match the color. 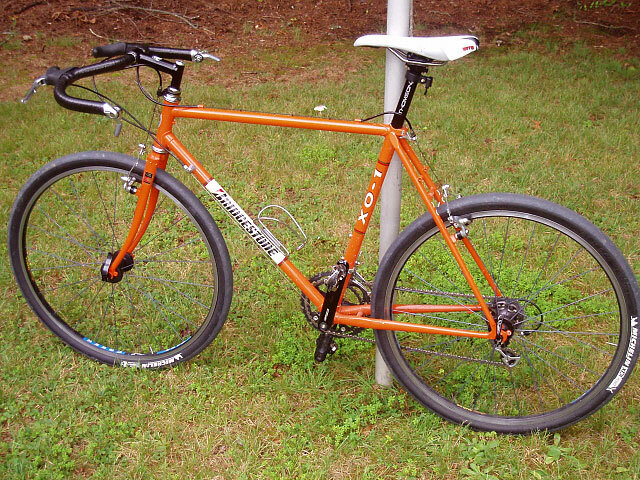 The saddle is temporary until my honey colored brooks swift arrives. I ride this bicycle about 2,000 miles per year. Mostly mixing on and offroad terrain. It has been wonderful to own and even more fun to ride. I have taken good care of it. I also own a 94 MB-3 that I commute on daily, and a 92 MB-2 that is a touring/freeroader. 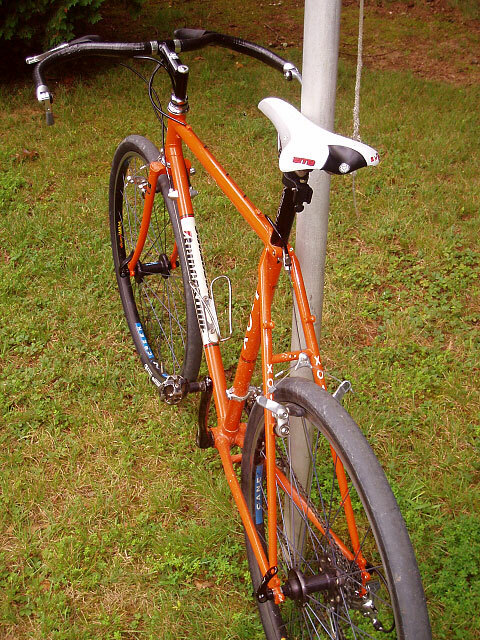 I also have a 93 MB-1 set up with an xtracycle that I do my grocery shopping on now but once raced two season of NORBA back in the mid 90's. This one is by far in the best cosmetic shape.